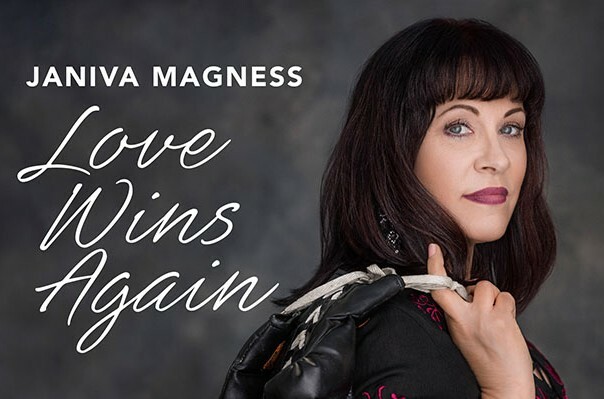 Those expecting soul and blues veteran Janiva Magness to dig her husky pipes into the negative incidents in her recent past including a divorce and the he-done-me-wrong platitudes that typically follow, might be pleasently surprised to hear that her 12th album’s title takes a far different approach. “This is me celebrating happy,” she reveals in the liner notes. The newly re-married Magness is bursting with the joy and fulfilling emotions a new relationship brings, all of which are reflected in the upbeat vibe of these eleven gospel infused R&B gems. Better yet Magness — who spent much of her career covering others’ material albeit in arrangements and performances that made it seem like they were written for her (see her stunning version of Delbert McClinton’s “You Were Never Mine”) — has, as of her previous release appropriately entitled Original, started co-writing songs. On this one she worked on five of them, with others penned for her by producer/guitarist David Darling, a major architect of the singer’s output since 2008. But, like her superb cover of John Fogerty’s CCR era “Long as I Can See the Light,” there is plenty of room for rumination and reflection in all of the positive vibrations. That makes this collection ebb and flow from the tough, horn inflected funk-rock of “Your House is Burning Down” and the title track’s sheer dancefloor filling shimmy and shake, to the more Bonnie Raitt-styled sweet love songs exemplified by “When You Hold Me” and the stripped down folk echoed in the solo acoustic guitar of the cautionary “Just Another Lesson,” one of the disc’s darker moments. With a professional career now pushing 20 years, Magness is a seasoned veteran of both studios and stages. Still, she sounds animated, committed, and invigorated on Love Wins Again, her most vibrant and generally optimistic album. It shows you don’t need to live the blues to sing music with authenticity, passion and tons of soul.